Looking for a hotel close to the Discovery Science Center? The Clarion Resort Anaheim is happy to accommodate you! Discovery Science Center is a nonprofit organization dedicated to educating young minds, assisting teachers and increasing public understanding of science, math and technology through interactive exhibits and programs. 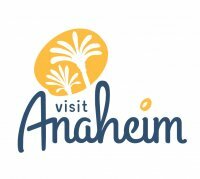 Located just 3 miles from the Clarion Hotel Anaheim you can enjoy a wide array of exciting exhibits and learning centers.